The Chancellor is the titular head of Saint Paul University. The position is held by rights by the Archbishop of Ottawa. The Chancellor’s responsibilities include acting as the Holy See’s representative to the University and strengthening the University’s connection to the Church as a whole. Archbishop Prendergast taught in Halifax at Atlantic School of Theology from 1975 to 1981, then was Rector of Toronto's Regis College from 1981 to 1987 and Dean of Theology from 1991 to 1994. In 1988–89, he lectured as Daniel Hannin Professor at Campion College, University of Regina. From 1992 to 1994, he served as Executive Secretary of the Vatican's Apostolic Visitation of Canadian seminaries (English sector). When nominated bishop in 1995, he was Catholic Biblical Association of America Visiting Professor at the École biblique et archéologique française de Jerusalem. Named Titular Bishop of Slebte and Auxiliary Bishop of Toronto on February 22, 1995, Archbishop Prendergast received episcopal ordination in St. Michael's Cathedral, Toronto, on April 25, 1995. Appointed eleventh Archbishop of Halifax on June 30, 1998, he was installed in St. Mary's Cathedral Basilica on September 14 of that year. 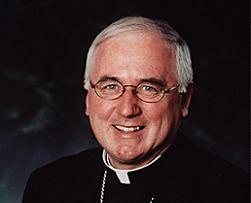 In January 2002, he became Apostolic Administrator of the Diocese of Yarmouth. He is the Canadian member of Vox Clara, an advisory commission to the Congregation for Divine Worship and Discipline of the Sacraments on the English translation of Sacramental texts. In the Canadian Conference of Catholic Bishops, he has served on its Permanent Council, been a member of the Commission for Relations with Associations of Clergy, Consecrated Life and Laity, co-chair of the national Anglican-Roman Catholic Dialogue, a director of the Catholic Organization for Life and Family, and has now fulfilled three terms on the Doctrinal Commission. He now serves on the Social Communications Committee.